While we have always sought to support and promote dance artists based beyond London, that support is taken to a whole new extreme with a small army of dancers and choreographers heading down the M40 to all but take over our opening night - from Birmingham. Alongside Lo-Giudice Dance from Newcastle, our opening night Friday 15 November will be quite the celebration of regional dance, and be prepared to be amazed! We visited Rebecca Namgauds, RDC and Autin Dance Theatre in Birmingham to watch them in rehearsal and interview them, so that we could offer you a trailer of their work and what they have in store for our audiences - and for each other, as in addition to creating new work, they're also dancing in each other's pieces. Avatâra Ayuso is in a rare position as an artist: she has a thriving career as a midscale choreographer in Germany, but in the UK, where she is based, she is primarily known as a dancer, but only in the early stages of developing her choreographic career in this country, with recent performances at Dance Base during the Edinburgh Fringe Festival and at Donald Hutera's Go Live festival at the Lion & Unicorn Theatre in Kentish Town. 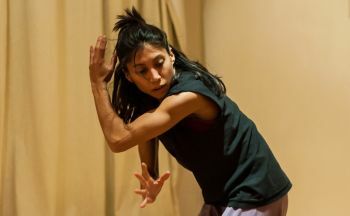 Avatâra will be presenting two works on Sunday 17 November: the UK premieres of Dalcroze and Balikbayan, a new solo created on Rambert dancer Estela Merlos, with the support of Pavilion Dance South West and Arts Council England. Further details can be read here. For the past six years, Mbulelo Ndabeni has been known to many as one of Rambert's dancers, and an enthusiastic choreography, regularly creating new works for Rambert's Seasons of New Choreography, their summer schools and other projects. The State In Between is a new collaboration between himself and Simone Muller Lotz, which will be developed into a longer work and presented in their native South Africa. The premiere of The State In Between will be on Saturday 16 November. Further details can be found here. 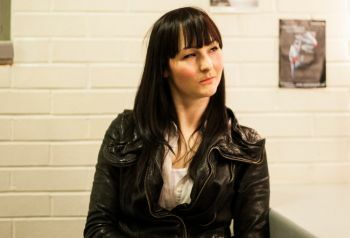 Our next featured artist from Newcastle is choreographer and film-maker Joelene English, who will be presenting an extract of her current Dance City commission, February 11th 1963, about Sylvia Plath's relationship with Ted Hughes and the end of her life. Since the original commission, Joelene has been invited to perform it at Touch Wood at The Place, MDI showcase Northern Dances, and now at Cloud Dance Festival on Saturday 16 November. Further details can be found here.